Let's start with the letter O today. Fold the bottom half to meet the middle line. Do the same with the remaining three corners. 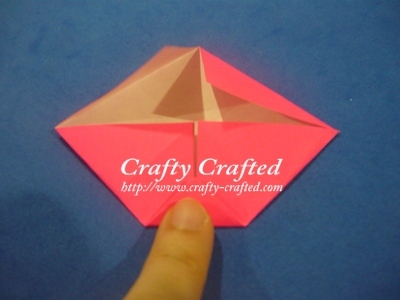 Make a small fold for all four corners. Nice! first time seeing origami alphabet!